Worcestershire celebrate their win over Sussex in the Twenty20 Blast final at Edgbaston on Saturday. 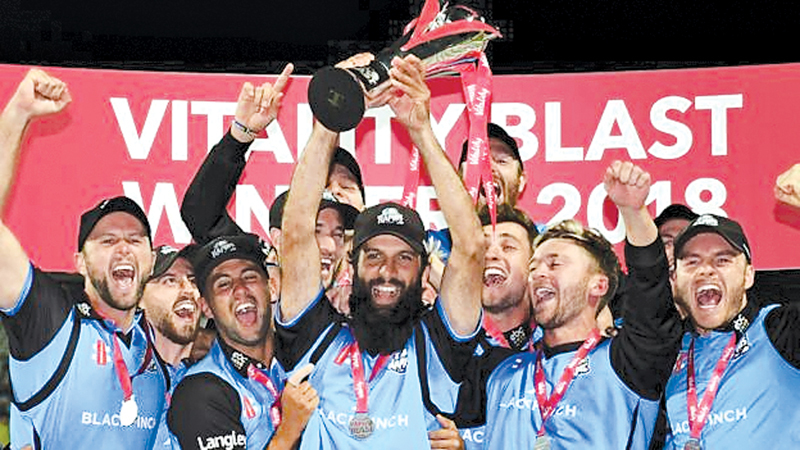 LONDON, SaturdayL: Worcestershire won the Twenty20 Blast for the first time as they beat Sussex at Edgbaston by five wickets in the final played at Edgbaston on Saturday. Although sadly watched by a mere 500 Worcs supporters after problems with ticket allocations to the four semi-finalists, it was still a memorable day out in Birmingham.